NEW YORK TIMES BESTSELLER WALL STREET JOURNAL BESTSELLER Now with a new foreword by the author celebrating the five-year anniversary of her sweeping, inspiring memoir. The world had doubted Greece's ability to successfully stage the 2004 Olympic Games. In rescuing the Athens Olympics and delivering what IOC President Jacques Rogge called an “unforgettable dream games,” Gianna Angelopoulos also delivered a new Greece, a modern can-do nation, a Greece worthy of its illustrious heritage. Little did she know that a few years later her country would abandon the lessons of the Olympics and become embroiled in a political and economic crisis that would devastate Greece and threaten the economic security of Europe. My Greek Drama captures the burning ambition of the rebellious girl from the island of Crete who ''lit'' the Olympic torch. Her story should help rekindle the spirit of the Greek people, and of every person who has ever struggled to change the world. 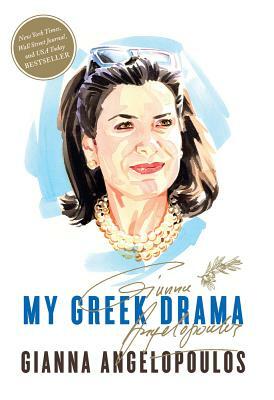 Gianna Angelopoulos-Daskalaki is an Olympic organizer, ambassador of the Greek state, lawyer, and former Parliamentarian. In 1986, Ambassador Angelopoulos-Daskalaki was elected to the Athens Municipal Council. In 1989, she was elected to Parliament, and won reelection the following year. Following her marriage to Theodore Angelopoulos, Gianna resigned her seat in the Parliament to focus on family and business. In 1996, the Prime Minister of Greece appointed her to lead the country's successful campaign to host the 2004 Olympic Games. In 2000, when slow progress and gridlocked bureaucracy put Athens in danger of losing the Games, she was asked to assume the presidency of the Athens 2004 Organizing Committee and save the project. Today, Ambassador Angelopoulos-Daskalaki serves as Vice-Chairman of the Dean's Council of Harvard's Kennedy School of Government, and is a supporter of the Clinton Global Initiative, a leading philanthropist for projects in Greece and around the globe, and a proud parent of three grown children.